the distance between your left and right edges(temple area). 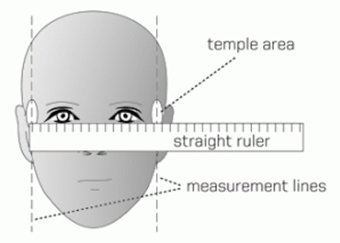 If you do not want to use a ruler, you can go for a medium size frame because it suits 90% of Indian faces. Girls with small faces should go for small size frame. Below are the few examples of small, medium and large faces. How to know your Existing Frame Size? 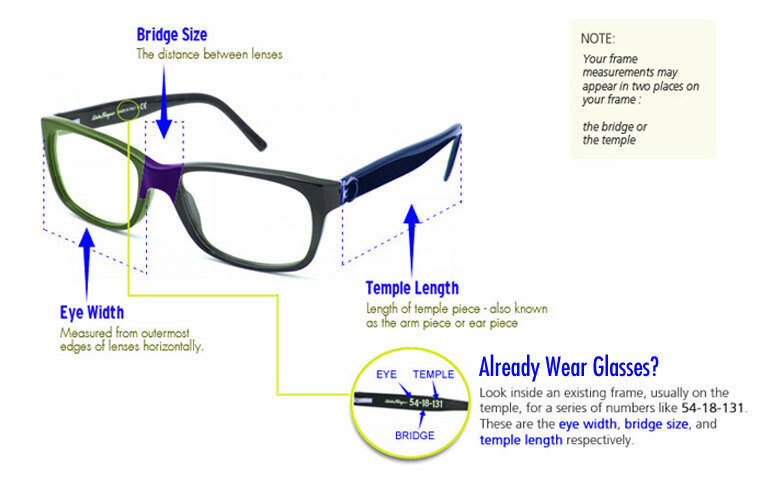 When selecting eyeglasses or sunglasses at Lenskart.com, it's helpful to know what size frame will fit you. You can find this information easily by looking at a pair of frames you may currently own, or by visiting a local optical store. In the event you already have a pair of frames that you would like to purchase again or even find a pair of frames similar, you can quickly identify the designer name, model number, and frame size by simply looking on the inside of your eyeglass temples (arm pieces). Below you'll find a quick guide to helping you identify your eyeglasses. Approximately 40 mm. - 62mm. Approximately 14 mm. - 24 mm. Length of temple piece - also know as the arm piece or ear piece. Approximately 120 mm. - 150 mm. This is the only information you need when ordering your eyeglass or sunglass frames. If you need assistance identifying your frames, feel free to contact LensKart.com and our opticians will be more than happy to help.